At 26 weeks, it’s time to share the news that we are having a baby! Yes, I am pregnant, and baby number three is on the way. We are very excited that a beautiful little being will join us soon… a new year, a new baby! We have always wanted this moment. New life is always worth celebrating, and we can’t wait to welcome our new addition. Even after having two other babies I am still amazed by pregnancy. Actually, it amazes me more each time I am pregnant! We grow humans. It is gobsmacking. And to know that this baby will be born with a little fan club is instantly heartwarming. Two older siblings, just waiting for it to arrive. How wonderful is that? But this baby has made me the quietest I have ever been during my pregnancies. With months of endless round-the-clock pregnancy sickness and sleepless nights. I knew I was pregnant, but I didn’t utter a word about it to even a soul. (Except my husband.) As if speaking the words would ruin it again. And now, I sometimes realise I have still even forgotten to tell close friends my news… crazy, but, true (and sorry if one of you is reading this!). And nope, I haven’t even done the usual 12 week scan photo on social media. Not even close. Because the truth is that last spring I miscarried. Hence my cautiously quiet, and much, much, much more reserved approach than any pregnancy before. A miscarriage can change you. At least temporarily. You aren’t as bold, as confident, or honestly… as naive. You are seasoned, you are toughened, and you are careful. And vulnerable. At least I have been. It is an experience that leaves you sad, empty, and you lose a bit of trust in your body. And I say those words quickly, but not lightly. Miscarriage can bruise your hope. For such a small thing, it is a big loss, of hope, of trust, of the future. Some people never want to try for another baby again. Others are never are able to have a baby afterwards. 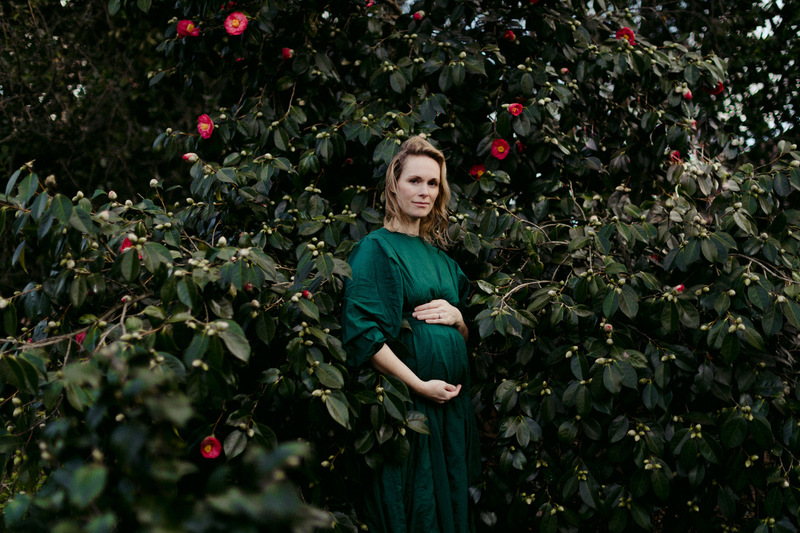 I didn’t know if it would be possible for me to have a ‘successful’ pregnancy, and I spent many nights in tears thinking about it. But, fortunately, at 26 weeks, things now seem more real. And I am sharing this difficult and personal news, however, I am forever changed. I see pregnancy from a very different perspective, knowing what can be, and what can happen. What loss feels like. Perhaps I am older, and wiser. Without question I am more sensitive and cautious. When my miscarriage happened, I stayed in the shadows, not sharing the story of my miscarriage with more than a dozen people. I wasn’t suffering in silence, I just wanted to heal, to make sense of it and recover. To be inward and quiet. It was my shield. I didn’t think it was a secret, I just didn’t feel like talking then. As common as miscarriage is, I chose to hibernate, to crawl into a turtle shell like shield. And protect myself. Some people go outward and share all, some do the opposite, going quietly inward. I had chosen the latter, and healed better that way, with close friends, family, and expressing my thoughts by writing… I may even share more of this experience someday. But let me just say, from start to finish, a miscarriage is awful. I have great compassion for those who have experienced it. Now I am pregnant, shouldn’t I be happy? Well yes, I am, but I am still cautious. Even writing this takes great courage, let alone believing I can have another baby. The experience which was raw and emotionally exhausting and only now am I able to speak openly. I am cautious. After all, anything is possible even with this baby. I am no longer blissfully ignorant. Now I realise, this is somewhat unusual since new baby announcements are normally filled with gushing. With happiness. This may seem like a dark shadow on a sunny day. But life is not perfect, nor is the journey of pregnancy. And in time, I will gush over this new baby. It is just a slower process that is happening as I grow. This ever expanding bump makes things more real. It signals a new chapter, but my emotions need to catch up with my growing. Believing this pregnancy will be ok has been a process. Sharing our news made it seem more real. We first told our children, who were instantly ecstatic. It couldn’t not have been more heartwarming! We then told family. And then friends in our community (as if my secret had been safe while I looked groggy and green in the face for 16 weeks straight, oh how silly I am to think my acting skills are that good!). Fortunately around 18 weeks the fog of sickness lifted and I could begin to enjoy Christmas. But still, I proceeded with caution. At 20 weeks we went for a scan as a family, and all was healthy, all was fine. There was moving, kicking, wiggling life in me. I could breathe a bit easier! And then this maternity photoshoot at 26 weeks brought it all to life. 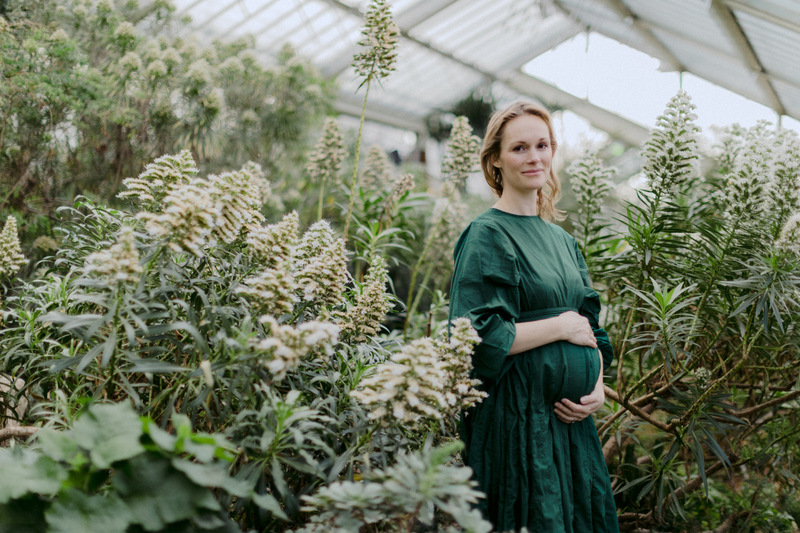 It helped that the beautiful and incredibly talented London family photographer Polly Geal, of Little Kin Photography, made me see things clearly. It was actually quite therapeutic. There I was, in one of my happy places, surrounded by fertile, green, and lush nature. With flowers blooming and plants growing, and abundant life everywhere. Which can give you an instant energy boost on a wintery day! And it is real. I hadn’t seen myself or believed it fully until then. I actually laughed out loud looking at the image of me, pregnant! I had been holding in the secrets, the quietness, the pain, mixed with constant worry that this pregnancy would also end suddenly! But there I was, pregnant… it was really real. Now, I could begin to share it and open up to the world, connect with the many many women that know and deal with this. These photos documented what I looked like, not all of the worries. The photos brought the truth to light. As a result everything in me lightened, loosened, and I began to relax, to believe. And I began to truly embrace that bump, realising this reality. I could trust my body again. It was ok. 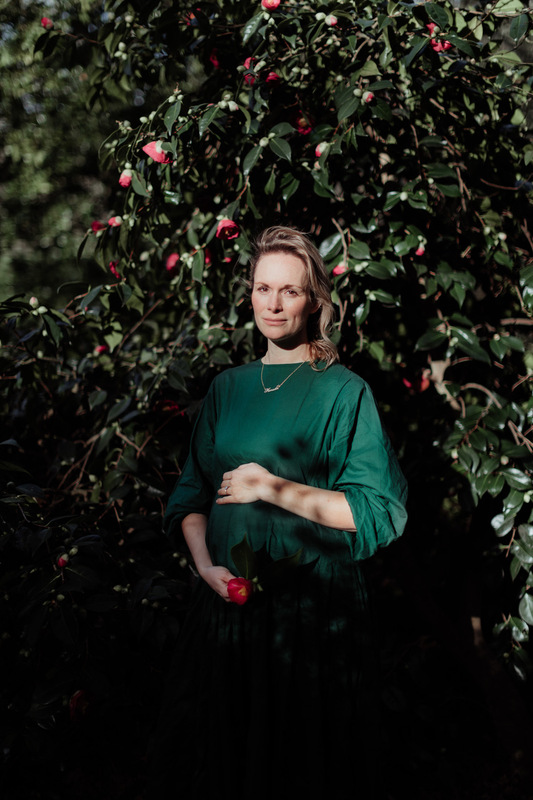 I had never taken the time to do a ‘proper’ pregnancy photoshoot previously, and I am so happy I did with this pregnancy, as it is probably my last one. This shoot allowed me to take it all in, to stop, and to smell the roses… (or camellias in this case)! 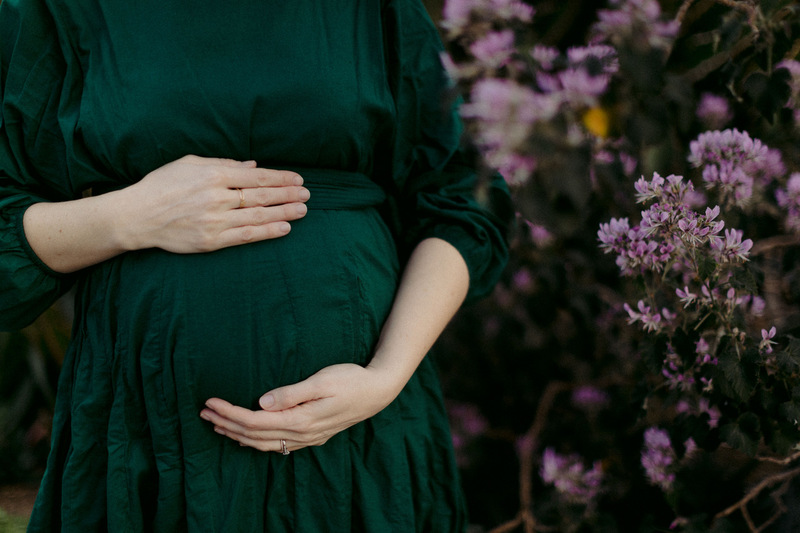 These are the stages of this pregnancy, which has been a new and unusual journey for me… from cautious to more confident! I have learned a lot about myself, me as a mother, and life in general. As I grow, both bigger and wiser, I am trying to open up more too, in the hope that it will help others. 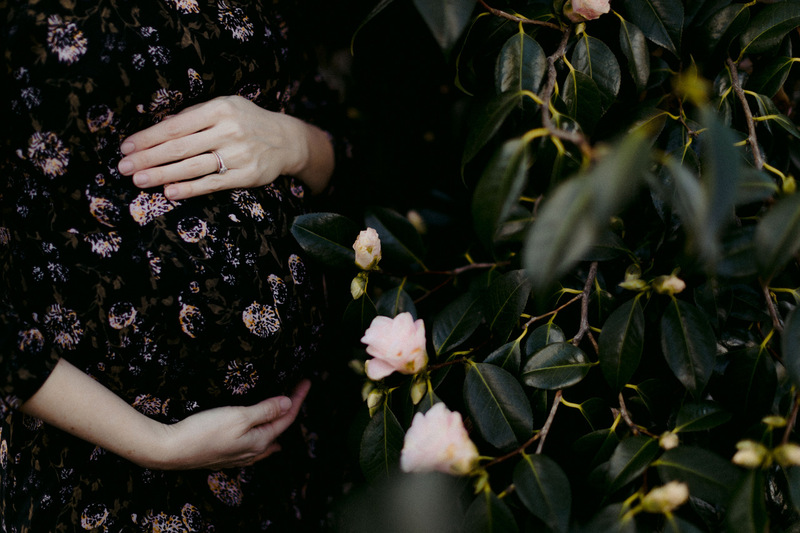 I am no expert, I am just trying to make sense of it as I go, sharing the un-perfect reality of pregnancies and the joys as well too. Of course I will still wonder and worry, I think it is natural. Questions will continue to pop up in my head. Will the baby be healthy? Hopefully! I will be truly excited when I see this baby in my arms. This is a new chapter. A new baby, and a new year! I now get to embrace this time. To nest, bond, and prepare. This baby will be born into the slipstream and we will be a family of five. Because being a mother is never dull! And there is always a lot of growing to do. ps — Polly is a London baby and family photographer specialising in documenting motherhood. I first met her a couple of years ago when she captured me tandem feeding my babies as part of her series on breastfeeding mothers. You can view those precious photos here. 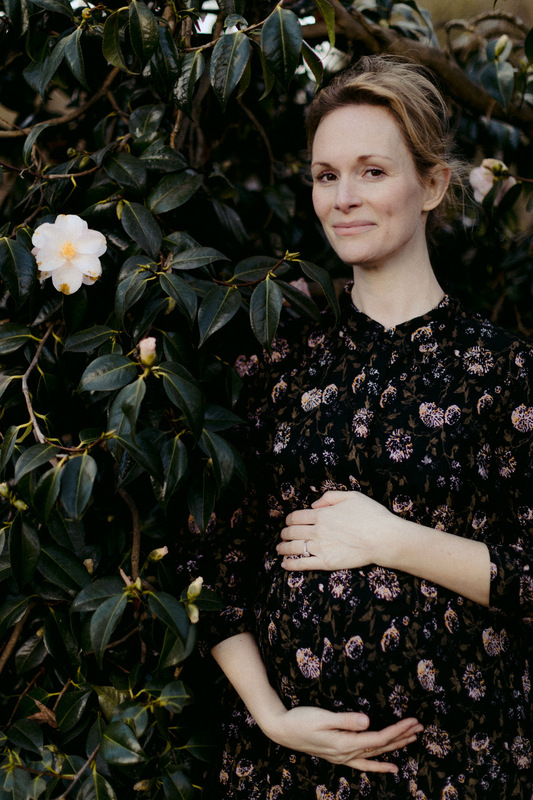 And you see how she captured Courtney and Marlow for a motherhood session here. I am so sorry to hear about your difficult times with pregnancy. It really is such a mental and emotional time in one’s life, and sometimes all you can think about is that growing baby inside. I can completely understand holding the pregnancies close. I have that strong desire still. We are maternal mama bears who must always do what is best for our cubs! Dear Lara, congratulations and best wishes to you from the bottom of my heart. 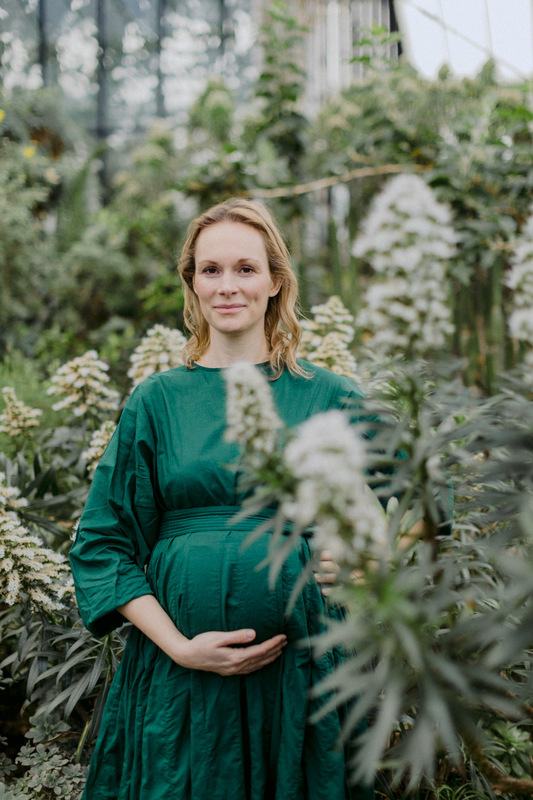 You are strong and beautiful inside out (and you make the most beautiful babies:)) Thank you for your honest words, this is real Life – with all its glory as well as grief. Mira P. S. Now I regret that I never took pregnancy photoshoots, your pictures are gorgeous and your dresses are dreamy..